"In Joseph's House first year, 45 homeless women and men have been coming each night to this space, seven nights a week. They arrive at 9pm and leave at 7am the next morning. Here they find nourishment, fellowship and hospitality, and the basic human kindness and compassion we all need. 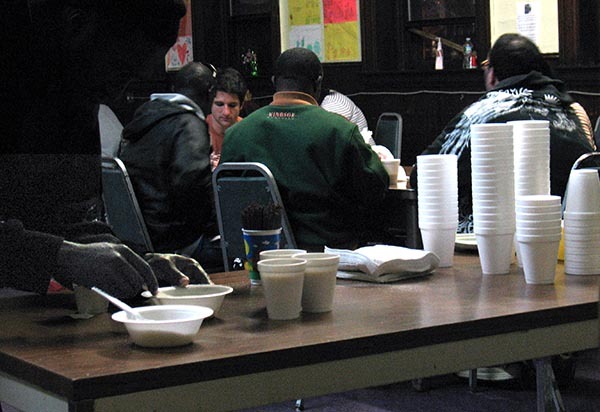 Joseph's House overnight café has been their refuge from cold nights on the streets of Camden. The café provides warmth and welcome to all."